It's time to sparkle! The Unicorn collection from Cupcake Polish is up on my blog tonight, a set of gorgeously sparkly rainbow-splosive glitter-bombs! 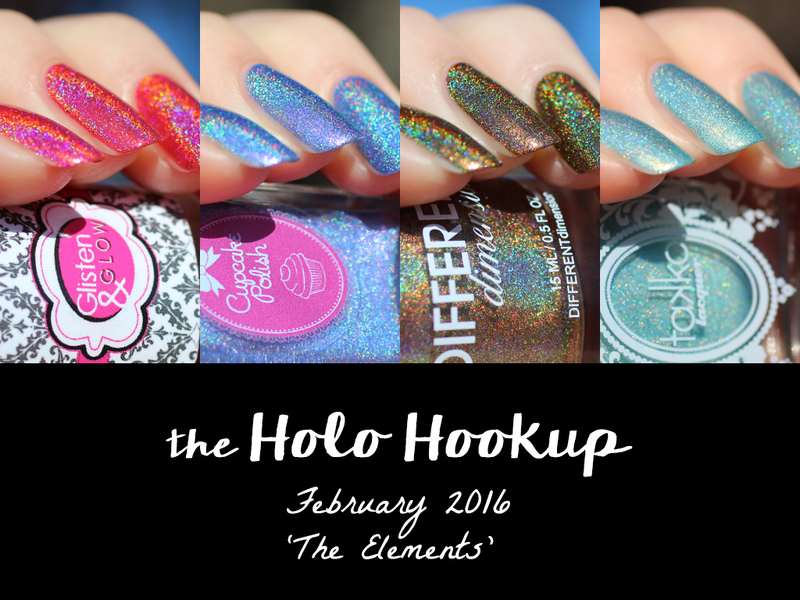 Today I'm sharing The Holo Hookup's February box with you all! 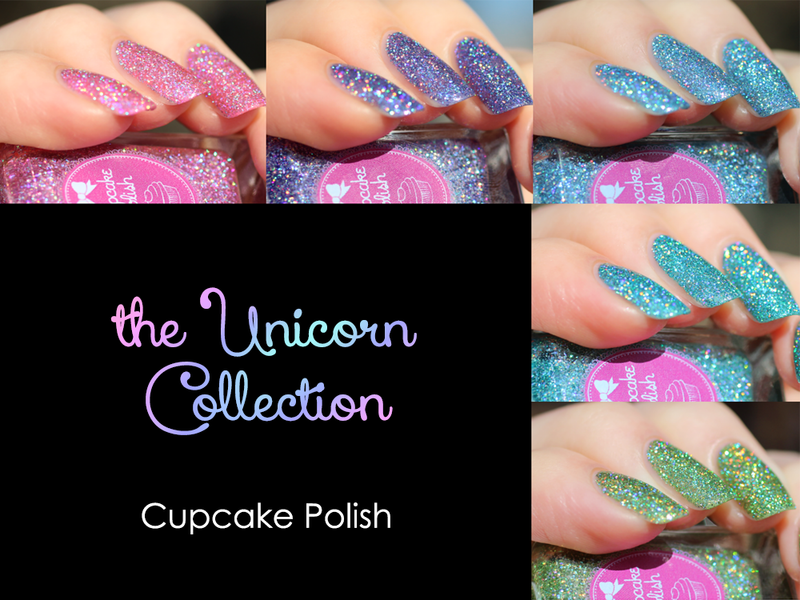 This month's theme is "The Elements," inspired by the signs of the Zodiac, with colors from Glisten & Glow, Cupcake Polish, Different Dimension, and this month's guest contributor, Takko Lacquer. 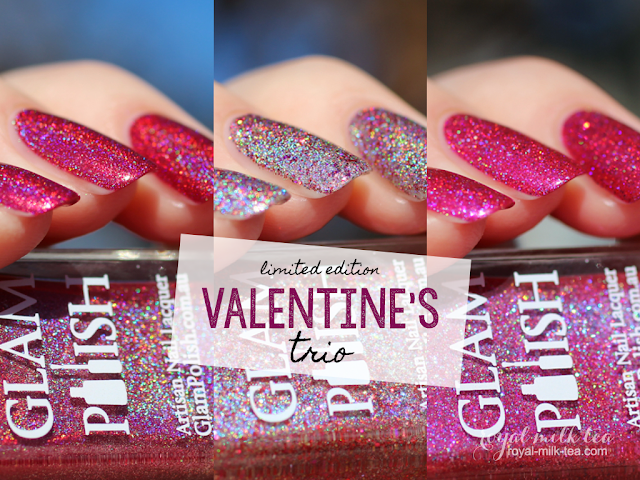 The new, limited edition Valentine's trio from Glam Polish is up on my blog tonight! Valentine's colors are always some of my favorites, and these shades are perfectly passionate and lovely! Cupcake Polish and Crystal's Charity Lacquers have teamed up to create a very special, gorgeously sparkly custom duo! 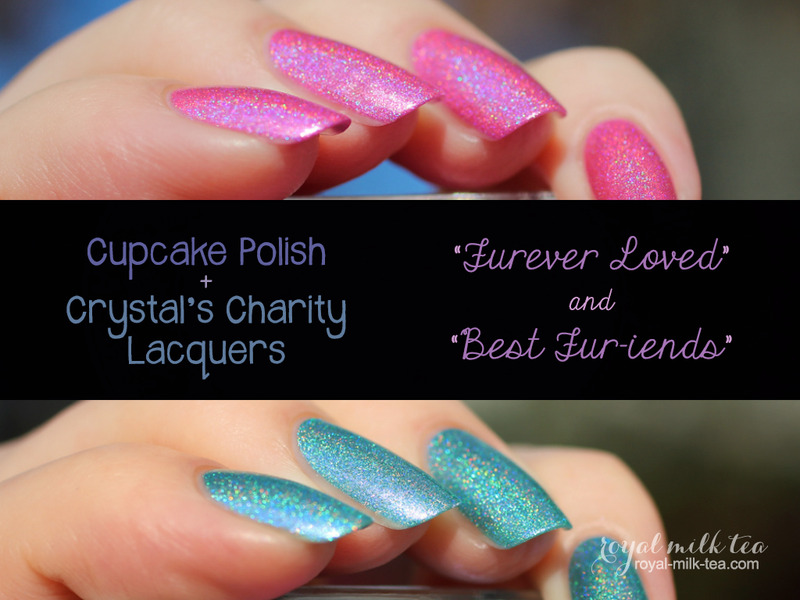 These are limited edition polishes whose sales benefit OVC Pet Trust for research in the field of companion animal cancers. 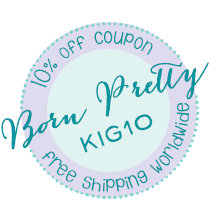 Take a look at the rest of my post for my review of these stunning colors and more info on this wonderful fundraising charity! Today I get to a share a very special collaboration between two amazing makers, Emily de Molly and Chaos & Crocodiles! 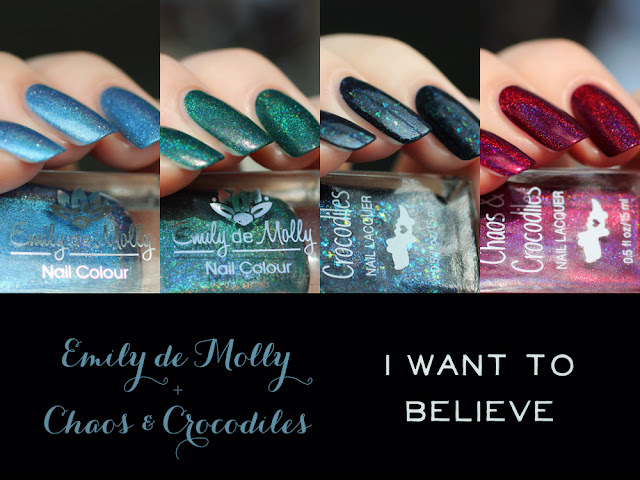 Together they've created a set of phenomenal colors inspired by the show "The X Files," "I Want to Believe." Read on for more swatches and my review! It's time to ring in the New Year with some bright, fabulous colors from Glam Polish! 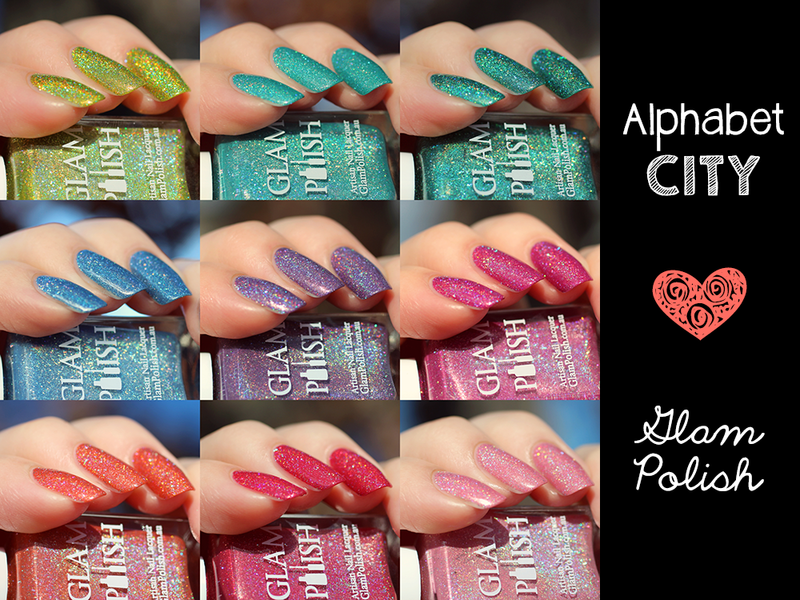 The "Alphabet City" collection polishes are inspired by the characters and songs from the Broadway Musical "Avenue Q." 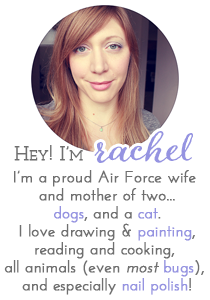 Keep reading to see more photos and my review!